Tuángòu: Are You Addicted Yet? Oh, You Will, You Will…. OK, this post has nothing to do with medicine — but it’s so darn cool that I simply have to share it with my fellow expats. 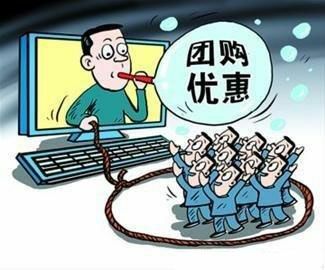 It’s called “group buying” via the internet, known in Chinese as 团购 tuángòu. You’ve probably heard about the Groupon craze in America, and this group-buying concept started in China less than a year ago. (There’s also a similar flash-buy concept which you can see at CityWeekend here). I’ve been in the internet biz since my 1990’s San Francisco website-design days in the midst of the dot-com revolution — and I must say that this tuángòu is one of the most life-changing revolutions coming from the internet — ever. Seriously, it can impact your daily life here in Beijing, expanding your experiences while saving lots of money. My wife now spends a couple hours every day searching these websites for new items, and we’ve saved thousands of RMB already just from a couple months of use. We’re talking up to 90% discounts on restaurant fixed-menu packages, and it’s now the norm for us to spend under 100RMB for a great meal for 2 people — and we’ve explored many new places we’d never considered before! Dianping.com (food review website): http://t.dianping.com/beijing. Previous PostNaturopathic Medicine: A New Model for HealthNext PostWhat Makes A Happy Marriage? More FYI: After you pay online via Alipay, the confirmation gets sent to your cell phone via 1-3 messages; YOU MUST SAVE THESE MESSAGES! This message is what you show the restaurant people when you show up; there’s always a confirmation number in it that they need. And usually you always need to call ahead and reserve a spot, usually a day in advance. And tell them you are using “tuangou”. Happy hunting! Hi…I tried to open the website of Beijing group buying deal, then it’s all chinese words. How to view the deals in English words?hoping for your reply soon. Thank you.